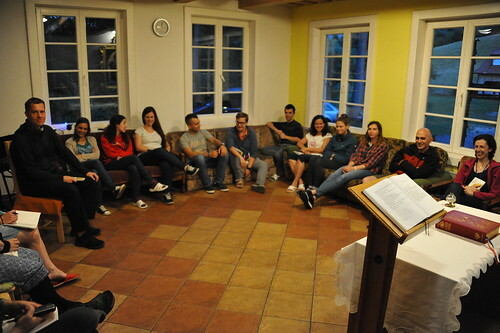 The experiment is connected with prayers, music and songs from Taizé. The program will include meditations, common reflection of biblical texts and a space for quiet time, relaxation in the countryside and sports. We will learn songs from Taizé with solos and other liturgical and classical music. The experiment will be guided by professional musicians. We invite you to seek and find God in nature, music, sung prayer and community life.​ Requirements: Positive attitude to songs from Taizé, silence, and prayer. Good ear for music. Basic experience with singing. More information: http://jezuiti.sk/blog/kamnatftu/magis/ ​Location: Trlenská dolina (near Ruzomberok), Slovakia.